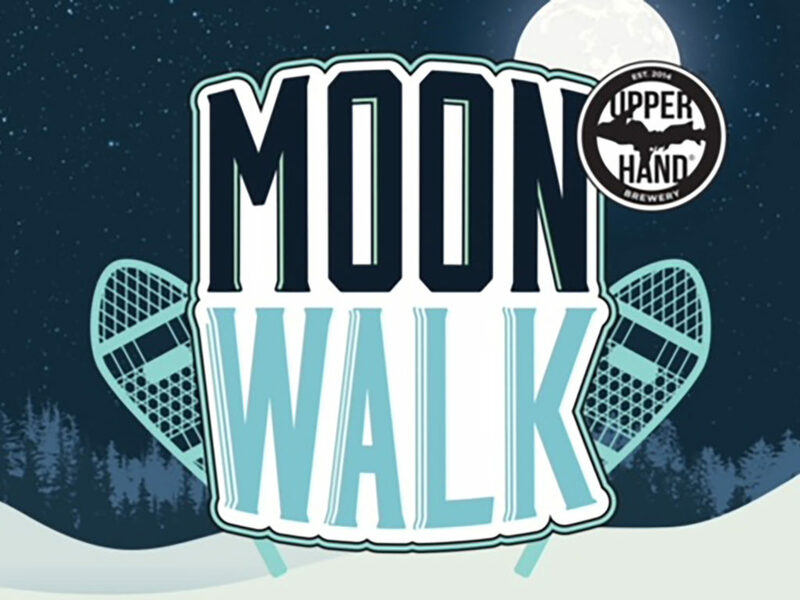 We’re celebrating the release of two new beers with a Moonwalk (lighted night hike around our brewery’s 5 acres). The Moonwalk takes place from 6-10 p.m., Friday, February 8. Our newest beer, Lumen is a crisp, sparkling India Pale Lager that harmonizes the hop aromas and flavors of an IPA with the clean, dry finish you expect from a traditional Lager. Next UP is returning with some tweaks as we introduce Next UP Vol. 2. A hazy, juicy Pale Ale that parallels the style coming out of New England. Bring your snowshoes, boots and headlamps. There will be a limited amount of snowshoes to borrow on a first come, first serve basis. Snowshoes will be provided by Mr. Bike, Ski & Fitness.